Nothing like going to sleep at night, with everything full of good news. It is amazing how, despite how much terrible crap that happens, people standing up for what is right can still make such a huge huge difference. 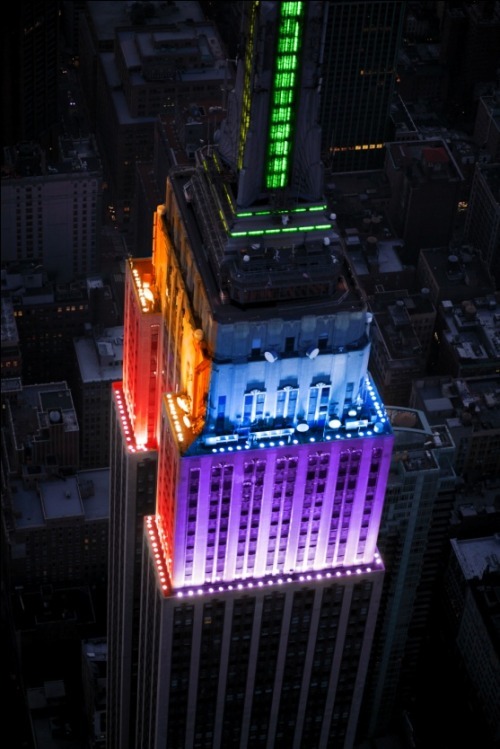 The Empire State Goes Gay - and Is Loving It! This is a freaking game-changer. We were at a Stonewall Pride parade on Sunday, in our neighborhood (seriously – at the same time, everyone poured out of their homes to walk down the street, even though the weather was awful, to be there for this event), and there was a lot of hugging your neighbor encouraged. One of our cadre of friends there was told he had to hug, and say thank you, to someone else in the crowd. Turns out the guy he was directed to hug was actually at Stonewall on the night of the famous riots. I don’t know the guy’s name, but I too, want to thank him, for standing up for what’s right. And I want to hug the four Republican senators who did the same tonight. My twitter went absolutely bonkers tonight, everything all on the same subject. It was kind of amazing. 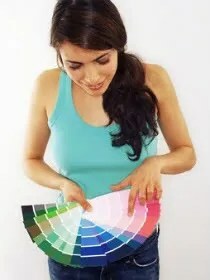 Since twitter has been overrun with self-promoting celebrities, I read that Joy Beyhar twote that the best thing about the gay marriage law passing was the right-wingers going nuts. And I completely disagree. The best thing about this legislation passing is that it leads to more equality, more civil rights, and overall, an expression of more love in the world. Isn’t that what we really always need? We’ll put it out there right now: I worship Tina Fey. For all of the reasons that everyone else worships her. I think she’s a fantastic writer, she’s hilarious, and I aspire to be like her (although I’d already had the brunette/nerdy glasses/badger face look going my whole life). I watch 30 Rock on repeat religiously. I’ve made T-storm a convert. I can quote entire episodes. And in the past two days, there has been a huge controversy over a line in Tracy Morgan’s stand-up routine that describes acts of homophobically-driven violence. It’s really disturbing. And it’s not funny. The first thing this proves is that Morgan is an actor, not a writer. I think he’s hilarious on 30 Rock – when someone else is telling him what to say. T-storm and I quote his lines all the time. But the writers also make Sherri Shepherd, who oddly enough plays Tracy’s wife, funny and appealing, and when she’s left to her own devices she kind of sounds like an idiot. Just not a bigoted idiot. It’s a kind of Singin’ in the Rain situation: someone famous and not terribly bright thinks they can still be famous and beloved without their handlers charting their every move. But here with much graver consequences.